Easy to fit, seem to work fine and not too long. Very reliable valves. Have used many times and never had an issue sealing. Valves seated perfectly on tubeless ready rims. No air loss and used with stans no tubes sealant . Much easier process than I expected. Work every time and have never had one leak. They are straight forward and good stems. Removable core, so you can inject the sealant. No leaks, no complaints. These are far better than Hutchinsons valves , inflated first try and stayed inflated. Speedy delivery as always. Nice and robust. Not leaking. Good value valves. Very easy to install and had zero issues with getting them to seal up. Good quality valve stems. Don't forget to screw them tight before trying to add air to the tyre. Rookie mistake on my part, made it harder to inflate the tyre and I squirted more sealant around than I should have. They work and the quality is decent. Took one star off for one of the valve cores (easy enough to change out) not completely sealing on it's own but that wouldn't stop me from buying these again. These worked fine and sealed well, but are a little on the short side for my 35mm rims. I can get a pump on them - just! Tubeless valves, not very exciting but a quality product that does it's job. I am using these on all my mtb`s now and no problems at all. Bought these but did not need them in the end. Now I have some spares. Have used in the past and if fitted as per instructions they work. They work, no leaks or other problems. Great valves for the money. There are slightly cheaper alternatives but these always work well. A reliable and easy way to go tubeless. A little on the expensive side, but they do work well and have replaceable valve cores too. What can I say simple to use, take the end cap off spin the disc ring off, push the valve into the wheel rim, spin the the ring back on and hand tighten, removable core feels good, stans reliably expensive but solid. Easy to use valves that seal up nicely and just work. Brilliant item. Installed these on Hope branded ZTR Crest rims with Stans yellow tape, and UST Contis - didn't even need any sealant. I topped them up with Stans sealant anyway, which is really easy to do by removing the valve cores. Fitted perfectly to my Stans rims and currently working without a problem. Good quality valve with removable core, but did have a problem getting one of the valves to seat properly. Sorted out after a couple of goes. Would not put me off buying again. Do the job very well, but quite pricey for what they are. Easy to fit, no leaks , what's not to like? Easy peasy. Worked beautifully with Stan's ZTR Flow EX rim. Simple to use with stans rims in conjunction with no tubes rim tape and stans fluid. Easy sealing with conti tyres. Worked perfectly on my Stans Flow Ex rims. 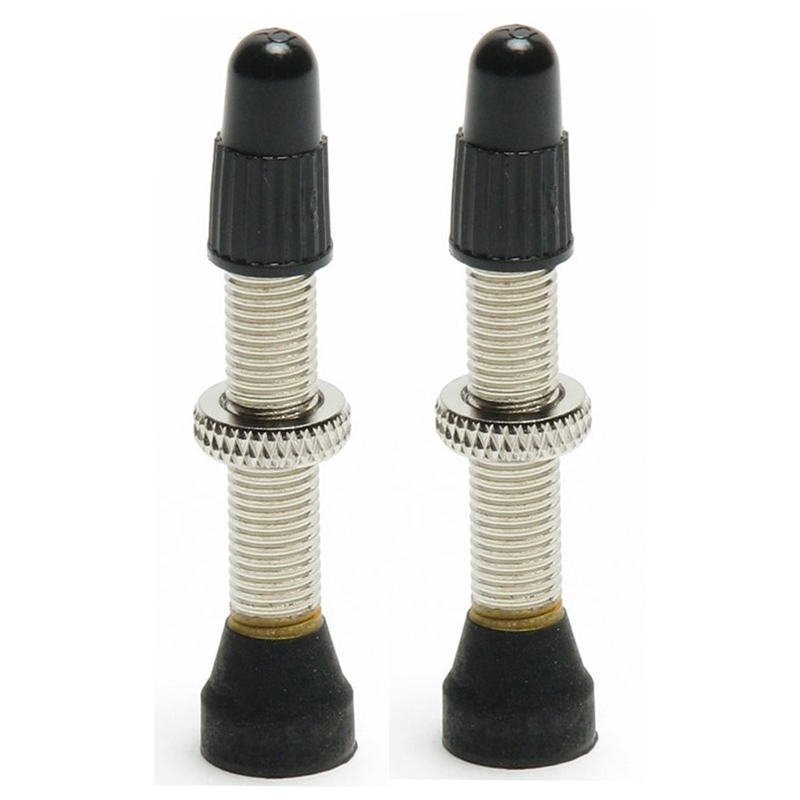 Very easy and straight forward to install and removal of the valve core was easy with a small set of adjustables. Easy to fit and no leaks. Third set now, all worked perfectly. Kinda essential if you plan on going tubeless. And tubeless is generally a good thing cos it means lighter wheels so you float down the trail better. It also means you dont have to walk miles to get back home cos youve run out of tubes and patches after riding through a particularly nasty patch of thorns/gorse/brambles/hawthorn/otherpointystuff whilst having an otherwise lovely ride in the middle of nowhere. Aye, tubeless is a good thing. Sealed easy with no leaks, look neater than the Mavic valves. Good price, fast delivery from Merlin. Valves are easy to install and ork extremely well - stick with Stans! Work ok but rubber seal could be better. Had to really tighten to stop leaks. These work great. Just remember to nip up the removable valve core tight if you use a pump with a screw on hose. Great valves from Stans, even better service and price from Merlin! Valves do wear over time so it's wise to keep a couple of spares in your bag. Easy to fit and works perfectly. The perfect accompaniment to Stan's sealant. Recommended. Good value stems - very easy to install and don't tend to clog up with sealant too badly. I have them on several sets of wheels and they work really well. Good price and a great little set to keep as riding spares. I've used these type of valves for two years with no issues at all. Good quality and fit well.Removable cores allows sealant to be added once tyre is fitted.These were the 35mm length ones and are perfectly long enough for MTB rims.Great price and usual fantastic service from Merlin. Ingenious, so simple and effective. i have recently purchased two sets of these valves and have had no problems converting to tubeless. i would recomend these valves.